Think about cooking Indian food at home and a host of obstacles faces you: The dishes are time consuming and complicated, and if you follow all the steps and use the array of ingredients typical in the recipes, you’re looking at a sink full of dirty pots and pans afterward. And then there are the strong aromas that seep into every corner of your house, which some cherish as nostalgic memories of home and others find unappealing. All of these worries disappear with recipes in Ashley Singh Thomas’s new cookbook, “Indian Food Under Pressure,” which offers 60 authentic, one-pot, easy-to-follow Indian recipes that use an electric pressure cooker. Thomas maintains that all the cooking smells stay in the pot. Thomas was born in Fairfax, Va., to a North Indian family from Punjab. She married into a South Indian family and knows both these vastly different and diverse cuisines well. She lives in Pittsburgh with her husband, Roby, and their almost 2-year-old son, Tony. Though she always loved cooking she took it seriously only after she married in 2012. She had been a local television news reporter and hadn’t spent much time in the kitchen. 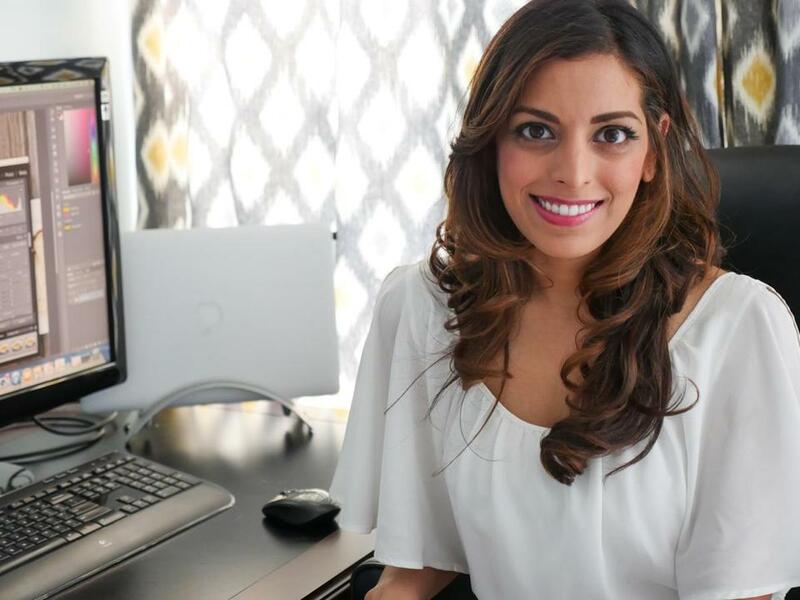 She started blogging recipes five years ago because she had to avoid gluten; her gluten-free and paleo recipes became the basis of her blog, “My Heart Beets.” That led to “South Indian Persuasion,” an e-book with over 100 recipes. Thomas had watched her mother use a pressure cooker to make meals (the stove-top cookers are common in India). Thomas, too, used stovetop pressure cookers until she heard about the Instant Pot. “I am such a gadget queen, I went and bought one,” she says. Once she discovered the advantages of electric pressure cooking, there was no turning back. Now she has an “Instant Pot for Indian Food” group on Facebook with more than 100,000 members. At the beginning of “Indian Food Under Pressure” Thomas gives a list of “10 Things to Know Before You Start Cooking,” in which she emphasizes the importance of reading the electric pressure cooker manual carefully and gathering all the ingredients before starting to cook. Because she’s running after a toddler and juggling home and work obligations, Thomas is all too familiar with the difficulty of planning family meals. She offers meal ideas for carnivores, vegetarians, and vegans in her “Dinner Menu Ideas” section. A dinner party menu includes chicken biryani, tomato and fresh corn soup, and potatoes and eggplant in pickling spices. A simpler weeknight recipe might include yellow lentils and spinach and spiced ground meat with rice. The book is divided into five sections — rice and dal (lentils), vegetables, chicken and eggs, meats, and desserts. You can see photographs of most popular Indian lentils (there are dozens). Every recipe comes with a little background, explanation of what the dish is, and the Indian name. The method is clear and easy to follow. The author shot all her own photos. Two popular meat recipes are the chicken biryani and butter chicken (also known as murgh makhani). All-time favorites in the vegetables section are achari aloo baingan, which are potatoes and baby eggplants cooked in pickling spices, and vegetable korma, a recipe from the Mughal empire, in which vegetables are cooked in a sauce of cream, dried fruits, and nuts. Tony cannot get enough of her mango chicken, says his mom, while her husband, a hematologist-oncologist, offers constructive criticism and eats everything she makes. Because of the popularity of her blog and Facebook page, Thomas decided to publish the book herself through Createspace, a print-on-demand company owned by Amazon. She posts a new recipe to her blog once a week — she used to post several times a week — but now her time is taken with answering questions and e-mails from readers. Electric pressure cookers aren’t exactly the same and cooking times may vary from the Instant Pot brand that Thomas uses. It is a good idea to study your electric pressure cooker’s manual to see suggested cook times for different kinds of produce and meat before following Thomas’s recipes. “Indian Food Under Pressure” is available on www.amazon.com. To read Ashley Singh Thomas’s blog, go to www.myheartbeets.com, where you can find a link to her Facebook page. Sena Desai Gopal can be reached at sena_desai@yahoo.com.